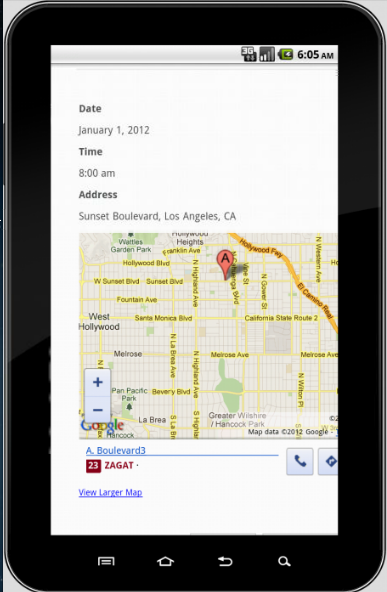 Whats the best way to embed nicely the forms in my android HTML 5 / java script app ? Should I use iframe ? I need it to fit to the size of the phone and look as native as possible. do you have such templates or option ? if not what is the closest ? Can you tell us the specific android phone you prefer to use the form? If we know this, we can provide appropriate suggestion to the exact fitting form on the android phone. Provide us also the form you are working this on. 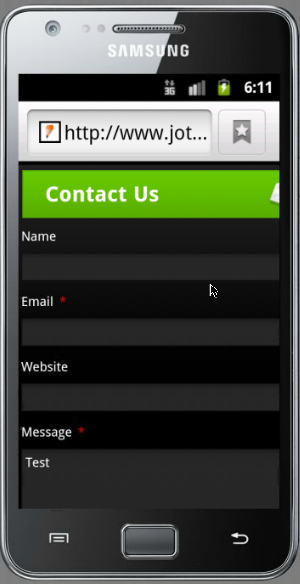 Basically, you would want the form to have a smaller dimension (width) as much as possible in consideration to the smaller screen display of mobile/phones. Thank you for the speedy response. But can you also tell me if you have work on a form already? I would like to test the form on this devices. If the forms are embedded on a website, -- usually iframe code is more suitable if the web page will be using other scripts as well. Using iframe code will make sure the scripts do not conflict. If you are certain that no such script issue will happen, you can use the script embed code. The thing with iframe code is, it will not follow the style scripts on the page... meaning, the form will maintains its look and feel on how it was created. The script code will blend with the stylesheet in the page as long as it does not encounter script conflict.